Ask Powerful Questions to Deliver Results! 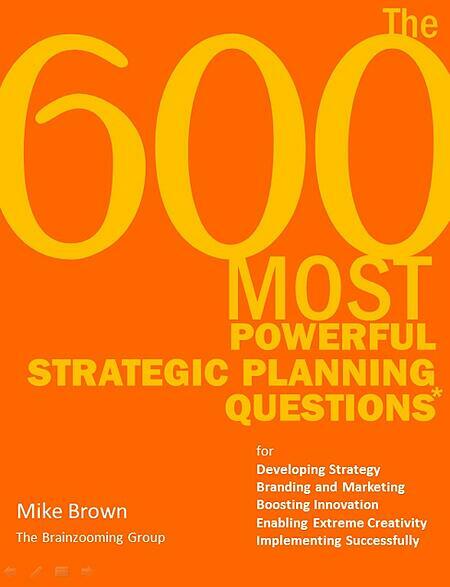 FREE Download: "The 600 Most Powerful Strategic Planning Questions"
Great strategic planning questions encourage and allow people to effectively and efficiently share what they know, whether that's factual information, personal perspectives, or their insights on high-potential market opportunities and innovative strategies. This Brainzooming eBook shares the most powerful questions we use with our clients across industries to uncover great ideas and innovative strategies that deliver real results!